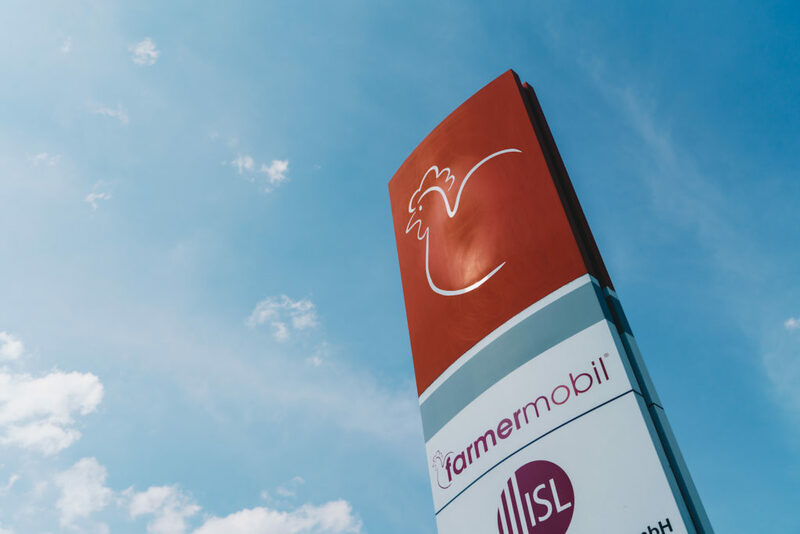 The conception and production of mobile farmermobil® poultry houses mainly takes place in-house at the family-run company's site in the municipality of Laer in Münsterland, Germany. The various mobile poultry housing systems are produced in series, by hand, at the company's premises. This spans some 4,000 square metres of covered production space and an outdoor area of 18,000 square metres on the Hagenbach industrial estate. Our team, consisting of 80 employees, is part of a group of companies. Each mobile poultry housing system goes through all our in-house production departments, from chassis production to final assembly, to achieve a bespoke mobile poultry house of the highest quality. Our farmermobil® mobile housing systems are series produced to optimise costs, but individual solutions according to customer requirements are also possible. We are always happy to respond to the individual needs of our customers by engineering a bespoke mobile housing system that meets the farm's specific requirements. For technical advice, design and implementation of the desired changes, we have our team of engineers and technicians. They boasts many years of experience and always strives to develop the right technical solution for every need. They provide our customers with technical advice and designs and enable any desired changes to be implemented supports our customers. 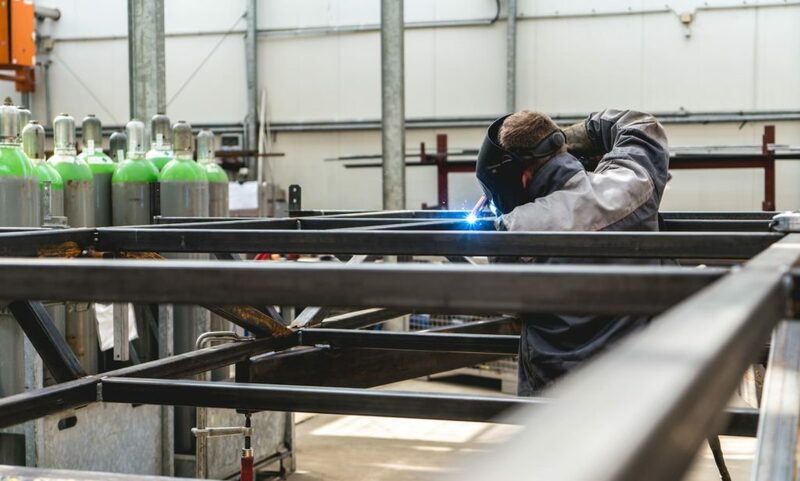 All welding parts installed in farmermobil® mobile poultry housing systems come from the company's own welding department. Here our qualified professionals have the latest production techniques at their disposal to produce the various components designed by our engineers. All production is performed by our qualified specialists. A large machine park with CNC equipment, the latest welding equipment, and an overhead crane is available for the production of the chassis, screw conveyors, and various other large and small parts. To live up to our promise of optimum quality, our quality assurance includes not only in-house process monitoring, but also covers the maintenance and repair of our machinery. Most gearboxes installed in farmermobil® mobile poultry housing systems come from our own gearbox construction department where a wide variety of high-precision gear types is produced, all using the latest new technology. 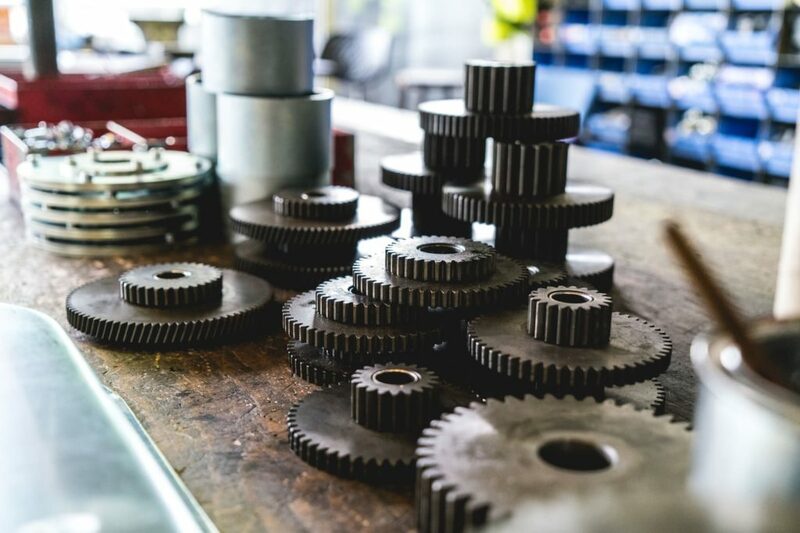 In production, we place high demands on the quality and functionality of the gearboxes so that they will perform without fail, even under the toughest conditions. Among other things, our quality criteria include a long service life with low maintenance requirements and unlimited functionality to fulfil our customers' specific requirements. 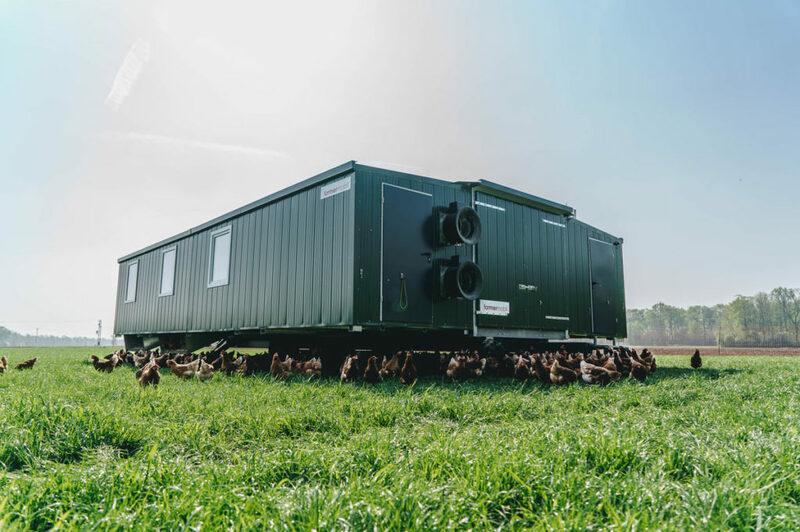 To be able to guarantee the fully automatic and self-sufficient operation of our mobile poultry housing systems, every gearbox design is the result of many years of practical testing, further development and improvement. farmermobil® has its own R&D department that continually develops new housing systems and improves existing ones. 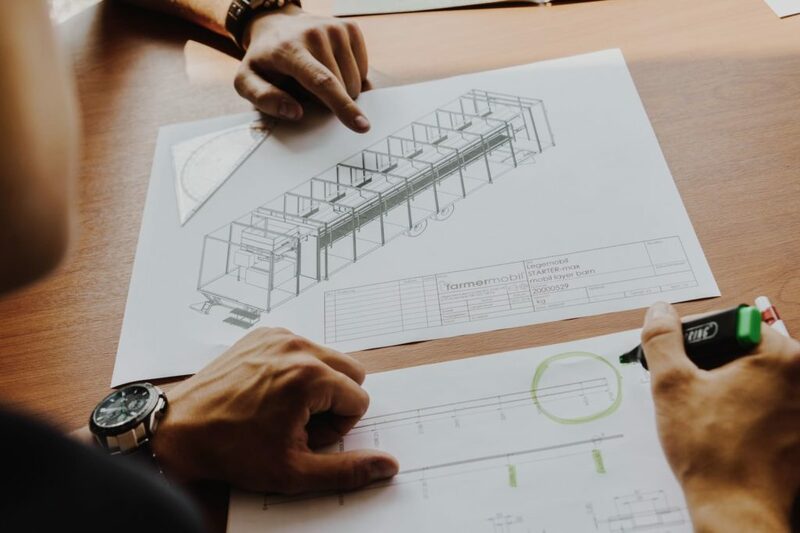 Our engineers and technicians can draw on many years of experience in animal housing and vehicle construction to put new ideas into practice. In our ceaseless efforts to further develop our housing systems, we attach great importance to practicality and cooperation with our customers. We use the latest 3D CAD software and extensive field trials to achieve optimum designs. Patents and utility models are pending for a wide range of innovations that are designed and developed and made ready for the market in our own R & D department. Are you interested in joining our company?